Reginald Alfred Bush, commonly known as Reggie Bush, is a famous American football player, athlete, as well as a film producer. Currently, Reggie Bush holds the position of a running back in a well-known team in National Football League called the Detroit “Lions”. Throughout his career, Reggie Bush has had an opportunity to play for such teams as the New Orleans “Saints”, Miami “Dolphins” and Detroit “Lions”. As a football player, Reggie Bush has accomplished many milestones, such as becoming a Super Bowl champion, receiving Doak Walker Award and Walter Camp Award, as well as winning AP Nation Championship and BCS National Championship. In addition to that, Bush was nominated for BET Male Athlete of the Year Awards several times, yet he failed to secure a win. As he became more popular, Reggie Bush started to be featured more in the media. He was featured on the cover of Gameloft’s video game “Pro Football 2007”, as well as on the cover of “Essence” magazine, appeared in a reality television series entitled “Same Name”, and was a guest star on the radio show called “Boomer and Carton”. In relation to his personal life, Reggie Bush dated Eva Torres in college and briefly went out with Kim Kardashian. His latter relationship was later parodied by an actor and comedian Seth Meyers. 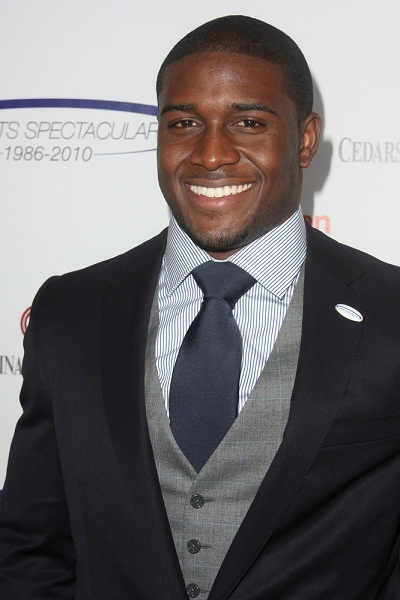 A famous American football player, how rich is Reggie Bush? According to sources, Reggie Bush’s net worth is estimated to be $14 million. Undoubtedly, the majority of Reggie Bush’s net worth and wealth comes from his football career, as well many public appearances. Reggie Bush was born in 1985, in Spring Valley, California, where he attended Helix High School. While in high school, Reggie Bush not only played football but was also an accomplished track runner. He took part in the La Mesa (CA) Helix running competition and won a third place in the CIF California State Meet championship. When he graduated from high school, Reggie Bush continued his studies at the University of Southern California, where he received a scholarship. For two years Bush played for the “USC Trojans” team, which was headed by Pete Carroll. Bush’s debut years in “Trojans” showed that he was a skilled and talented running back. Bush left a huge legacy at USC, as together with his teammate Matt Leinart he received the Heisman Trophy, was named the College Football Player of the Year and led his team to win important matches. However, Bush’s college career was also marked with NCAA investigations and lawsuits, when he was accused of receiving gifts, which broke strict NCAA rules. It was revealed during the investigation that Bush did indeed receive gifts, for which he was stripped of his Heisman Trophy and other honors. When Bush decided to skip his senior season in the university, he went on to enter the 2006 NFL Draft, where he was chosen as the 2nd pick by the New Orleans “Saints”. Bush spent five seasons with the “Saints” before he joined the “Dolphins” for two seasons. Reggie Bush currently plays for the Detroit “Lions”. Nicknames The President , Reggie , Reginald Alfred Bush, Jr.
1 Finished the NFL regular season with minus-3 yards on 12 carries. Bush is the first non-quarterback to rush for negative total yardage on at least 10 carries since the 1970 AFL-NFL merger. Bush has 5490 yards on 1286 carries in his 11-year NFL career. [January 1, 2016]. 2 Signed 1 year deal with the Buffalo Bills, 5th NFL team he has played for. [August 1, 2016]. 3 Wife Lilit Avagyan gives birth to second child, a boy named Uriah, on the couples' 1-year wedding anniversary. [July 12, 2015]. 4 Reportedly preparing to sue the City of St. Louis, owner of the Edward Jones Dome, after suffering a season-ending knee injury against the St. Louis Rams on November 1, 2015. Bush lost his footing on the cement surface surrounding the field, and suffered a torn MCL. Bush was the second player this season to suffer an injury slipping on the concrete. 6 Father of his 1st child with then girlfriend, now wife, Lilit Avagyan, a daughter, Briseis Avagyan Bush, was born May 6, 2013 in Los Angeles. 7 Brother of Javon Bush. 8 Announced he will relinquish his Heisman Trophy amid speculation the Heisman Trust was preparing to strip him of the trophy. An investigation by the NCAA revealed that he and his family had accepted improper gifts by two sports marketers in 2004 and 2005. USC returned its copy of Bush's Heisman in July, and struck Bush from its official school records. The NCAA placed USC on 4-years' probation, banned it from bowl games for 2 years, stripped it of 30 football scholarships, and nullified the 14 games it won with Bush. In June 2011, the BCS stripped USC of the 2004 national championship. The Heisman Trust decided to leave the award vacated for 2005 instead of awarding the trophy to Vince Young, who finished 2nd in the voting. Bush won the Heisman with the second-highest points percentage (91.77%) in history. [September 14, 2010]. 9 Split with Kim Kardashian West [July 27, 2009]. 10 Boyfriend of Kim Kardashian West. 14 2005 Walter Camp Award, Doak Walker Award, and Heisman Trophy-winning tailback for the University of Southern California.